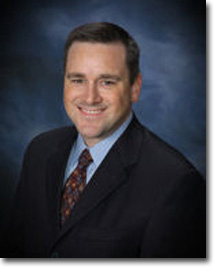 Burt Haigh is a Trial Attorney at The Accurso Law Firm with over twenty years of trial experience. Mr. Haigh specializes in civil litigation with primary emphasis on personal injury, products liability, negligence, insurance coverage and commercial litigation. As “first chair” Mr. Haigh has tried nearly forty cases to verdict in his career and has been an integral part of obtaining numerous seven and eight figure results for our clients. In 2015 Burt and Lou were awarded Missouri Lawyer’s 2015 award for largest settlement in the state for their $10.8 Million settlement of an asbestos wrongful death case. The Missouri Bar awarded Mr. Haigh the Kansas City recipient of the 2007 Lon O. Hocker Memorial Trial Attorney Award, given annually by the Missouri Bar and selected by the judiciary to the most outstanding Kansas City area trial attorney under age 36. Mr. Haigh continually educates himself and others regarding the latest trial methods and techniques, having given lectures and demonstrations on jury selection, cross examination techniques, and trial presentation. The Accurso Law Firm is a Kansas City Law firm that has many of its case stemming from incidents in the Kansas City area. In many instances our cases stem from regional incidents, such as throughout the states of Missouri, Kansas, Iowa, Oklahoma and in other instances we have taken on cases outside of our region because our degree of specialization is requested. © 2016 by The Accurso Law Firm. All rights reserved. Site by PLC Enterprises.